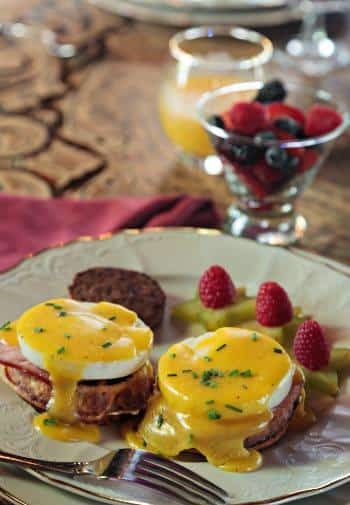 The staff of the Vrooman Mansion takes great pride in preparing and serving the finest and freshest breakfast items daily. Look at a sample of our seasonal menus to get an idea of the items we may be serving during your visit to our historic Bloomington, Illinois accommodations. 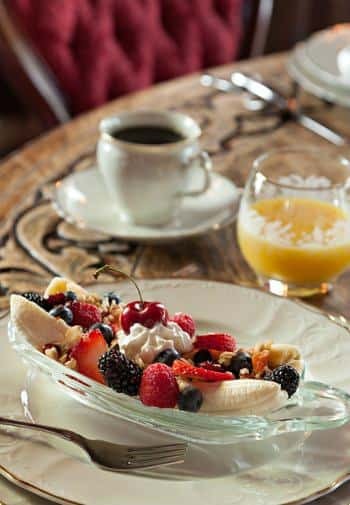 Our full breakfast is generally served at chosen times between 7:00 – 9:00 a.m. during the week and 8:00 – 9:30 a.m. on weekends at the original Scott/Vrooman family dining room table. If you prefer, you may enjoy breakfast surrounded by the flower boxes on our side porch. We ask each guest upon arrival their preferred time to eat. Breakfast service begins with a glass of orange juice accompanied by a piping hot beverage. Guests can choose from our specially blended coffee, one of our flavored hot cocoas, or one of our fine English teas. Enjoy a fresh seasonal fruit dish, and then we’ll present you with the hot entrée of the day. If you let us know when making your reservation, we will try to accommodate dietary restrictions. We continually strive to meet and exceed your expectations. Bon appetit! 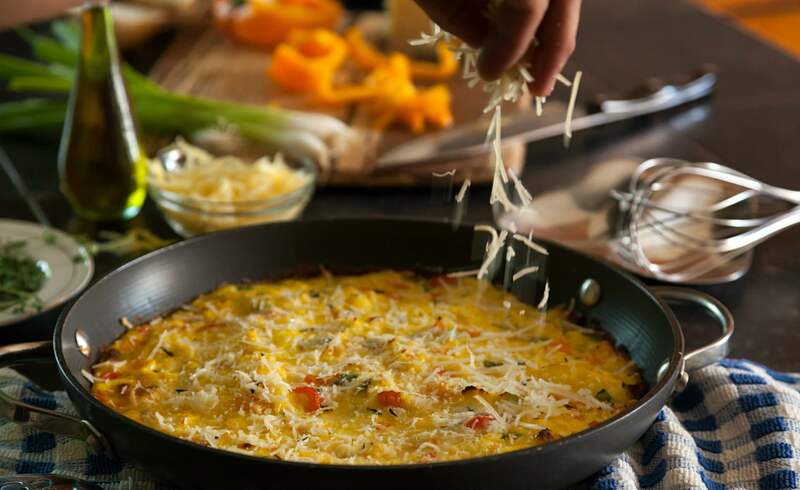 Our gourmet breakfasts are always built around the freshest flavors of the season. Here is a sample of the types of offerings that will greet you each morning when you stay at the Vrooman Mansion. Thank you for sharing your home with us. You were such gracious hosts. What a treat to stay here. We appreciate your attention to detail. Thank you for allowing us to bring our extended family in for breakfast. It was the best breakfast I ever had. The lemon pancakes & frittata were divine. Thanks again for helping us create family memories. We look forward to staying with you in the future.